ansoor A. Khan, professor and vice dean at the Texas A&M Health Science Center College of Pharmacy, is slated to deliver the 2016 Coy W. Waller Distinguished Lecture at the University of Mississippi. The Feb. 12 lecture, “Pharmaceutical Product Performance after Approvals – Need for Clinical Observations and Connection,” will be presented at the Gertrude C. Ford Center for the Performing Arts at 11 a.m. The School of Pharmacy and its Department of Pharmaceutics and Drug Delivery are sponsoring the free event. 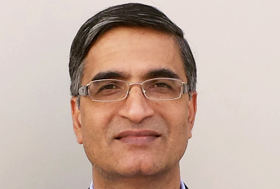 Khan serves as director of the Formulations and Drug Delivery Core Laboratory at Texas A&M’s College of Pharmacy. In addition, he has served the Food and Drug Administration as director of the Division of Product Quality Research Programs for more than a decade. A registered pharmacist, Khan earned a Ph.D. in industrial pharmacy from St. John’s University. He has published more than 275 peer-reviewed manuscripts, five texts and 25 book chapters; given 200 poster presentations; and has been invited to present at more than 200 presentations worldwide. Khan has also served in leadership positions for the American Association of Pharmaceutical Scientists and has received numerous achievement awards, including the FDA’s Center for Drug Evaluation and Research 2015 Outstanding Abbreviated New Drug Application Reviews Award. The Coy W. Waller Distinguished Lecture series was established in 2004 to recognize the former Research Institute of Pharmaceutical Sciences director’s contributions to the field of pharmaceutics and to the pharmacy school. Each year, a department within the school hosts the lecture, and lecturers are selected for their contributions to the host department’s discipline. Michael A. Repka, chair of pharmaceutics and drug delivery and director of the Pii Center for Pharmaceutical Technology, is looking forward to Khan’s presentation.